Stephen Edelstein August 4, 2016 Comment Now! When selling a car at auction, a little star power never hurts. 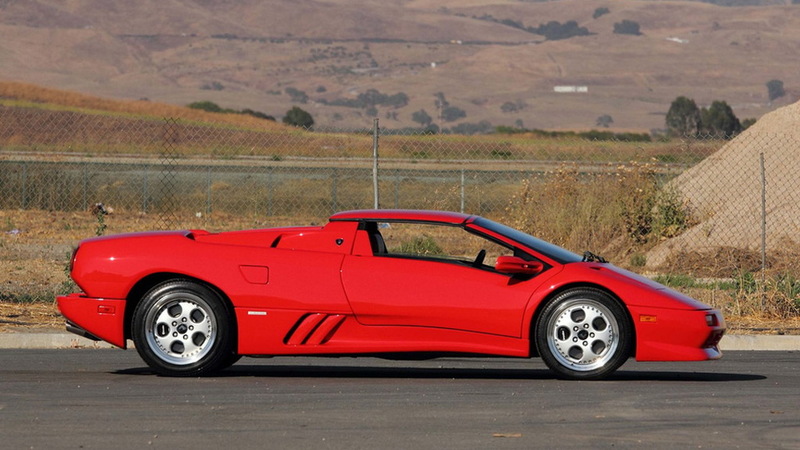 This 1997 Lamborghini Diablo VT Roadster is already pretty striking on its own, but it also has a notable former owner. When he wasn't selling grills, George Foreman was driving this Lambo from new. Now the classic supercar is heading to Mecum's auction taking place during the upcoming Monterey Car Week in California. 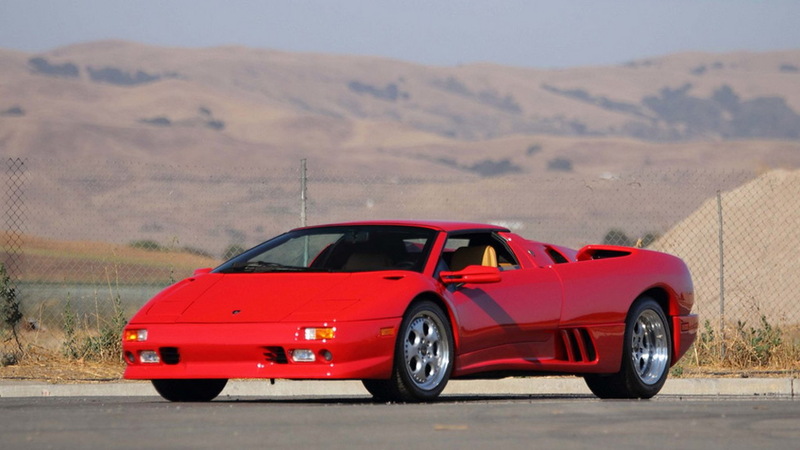 It may be a bit primitive compared to a current Aventador, but the Diablo was one of the hottest supercars of the 1990s. This one sports a 5.7-liter V-12 that produces 485 horsepower and 428 pound-feet of torque. The "VT" in the name stands for Viscous Traction, which was the name of the all-wheel-drive system Lamborghini used at the time. On the Roadster, a carbon fiber roof panel pops out for open-air driving and stows on the rear decklid. Foreman apparently took pretty good care of this Diablo. The car has just 1,907 miles on it, and it recently had extensive work done. An engine-out service included replacement of the clutch and a leak-down test. 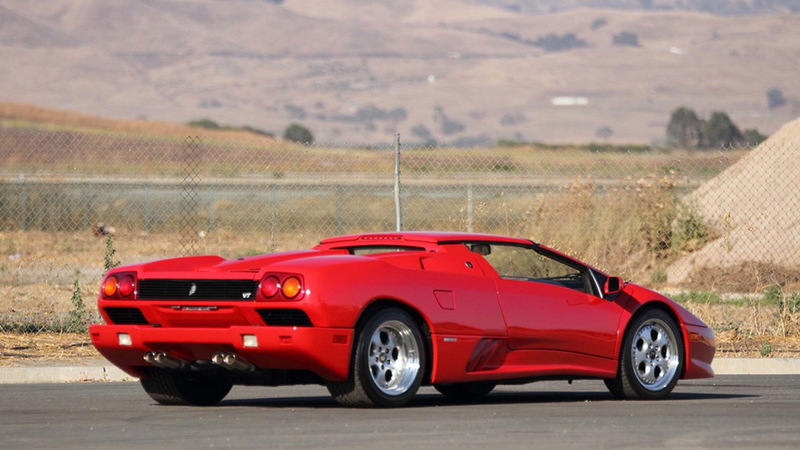 This was performed in November 2014, and Mecum claims the Diablo has accumulated less than 300 miles since then. The car also has new tires, but the originals are included as part of the sale. Also included are a framed picture and ticket stub from the Rumble in the Jungle, an autographed George Foreman grill, and a pair of boxing gloves. Copies of the original title and registration, along with all service records, are included as well. The Mecum auction takes place August 18-20. Other highlights include an essentially brand new Ferrari [NYSE:RACE] LaFerrari and Aston Martin Vulcan. The George Foreman Diablo is lot S119. For more of our coverage on Monterey Car Week, including the Pebble Beach Concours d’Elegance highlight, head to our dedicated hub.